The mother of singer Whitney Houston has revealed that she had doubted from the start whether Bobby Brown was right for her daughter and believes the star might not have ended up so "deep" into drugs had they not stayed together. "I do believe her life would have turned out differently," gospel singer and author Cissy Houston said in her book, Remembering Whitney. "It would have been easier for her to get sober and stay sober. Instead she was with someone who, like her, wanted to party. To me, he never seemed to be a help to her in the way she needed." Remembering Whitney came out two weeks before of the first anniversary of Houston's death. The 48-year-old singer drowned in a hotel bath in Beverly Hills, California. Authorities said her death was complicated by cocaine use and heart disease. During a recent telephone interview, Cissy Houston said she has no contact with Brown and did not see any reason to, not even concerning her granddaughter, Bobbi Kristina. She reaffirmed her comments in the book that Whitney would have been better off without him. "How would you like it if he had anything to do with your daughter?" she said. A request to Brown's publicist for comment was not immediately returned. 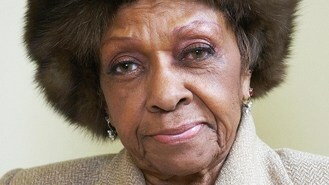 Cissy Houston said she wanted the book published so the world would not believe the worst about her daughter. Ms Houston, herself an accomplished soul and gospel singer who has performed with Elvis Presley and Aretha Franklin, describes Whitney as a transcendent talent and vivacious and generous person known affectionately by her childhood nickname, "Nippy". But she acknowledges in the book that her daughter could be "mean" and "difficult" and questions at times how well she knew her. "In my darkest moments, I wonder whether Nippy loved me," she writes. "She always told me she did. But you know, she didn't call me much. She didn't come see me as much as I hoped she would." But, "almost always", Whitney was "the sweetest, most loving person in the room".